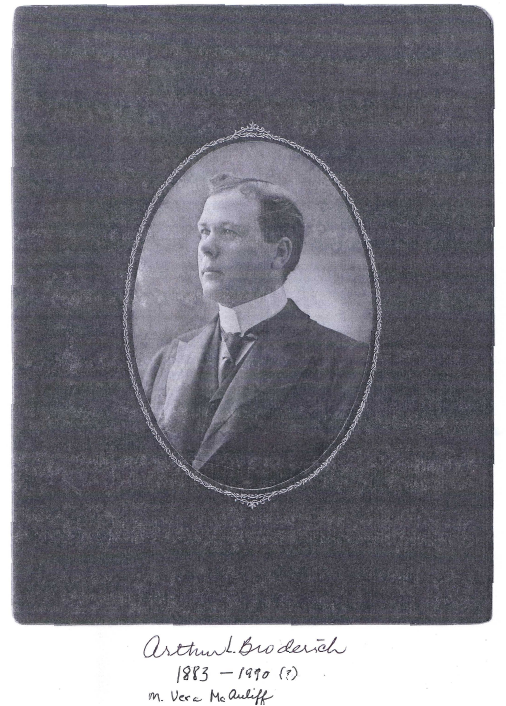 Arthur L Broderick married into the McCallum family (sometimes MacCallum). They have a very colorful history as shown on the McCallum Family Page as well as the William and Elise Charlotte's children's page when Vera was a child. THIS IS FUNNY On AL Broderick’s page, under Jack, it notes Got married and divorced in 2 weeks. Then got engaged to Betty Muckerman, who fell for Philip instead. 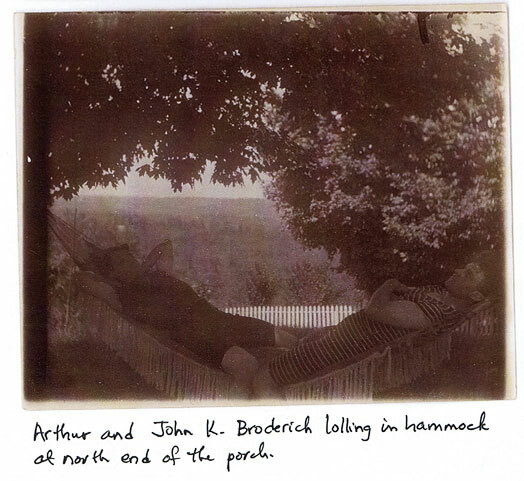 2 great images of Arthur L Broderick, one with a handlebar mustache. Great. Cute pic of Jack, Jill, Phil when what looks like scottich kilts, but phil looks to be dressed as a mexican guy. I had charlotte on the phone, and she confirmed that she called Aurthr L and Vera, Grandfeathers and Benny. 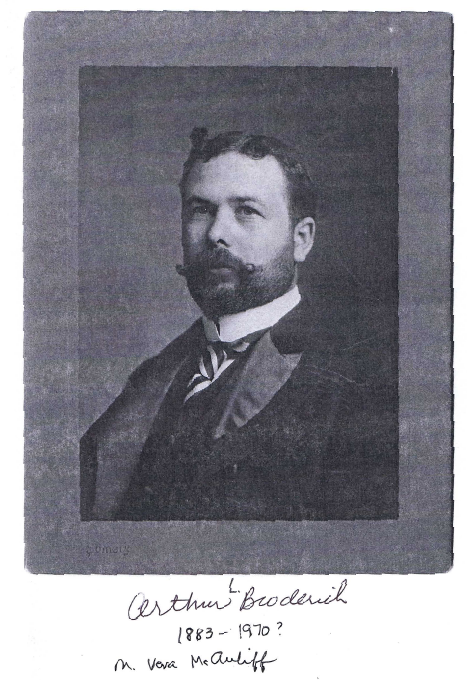 Joan Schneider and Charlotte’s brother Paul may have been responsible for the names, as they were the first born in this generation. This is your cousin Paul Broderick. I believe that I might have been named after your dad. 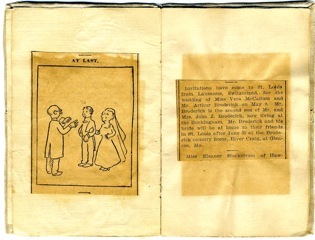 Somewhere I saw a really neat listing of William MacCallum’s children and the highlights of their lives. I believe that there were 9 girls and 3 boys. It was either in this listing or elsewhere where I read that your grandmother Vera MacCallum used to be chased around her yard when she was about 2 years old by Rasputin. Have you ever heard this or seen a listing of the other MacCallum children? On a side note, if Vera died in 1961, I would have been 9 and I remember going to the house off Clayton usually on Sunday afternoons where Dad would watch golf in the sunroom and Frank, Jane and I would try to catch up with Molly, the large longhaired Persian cat and Vera or Benny as she was called would always hover around making sure that we would not bother her beloved Molly. We were told to play outside but it was so much more fun investigating the large house and playing with Molly. I also remember that there was always a card table in the sunroom with Uncle Jack’s pennies on it----this memory might be from later though after Benny died. they both went back to Switzerland to marry. Hi Beth, I believe that you are right: Benny and Grandfeathers were not married here. I have info here that shows that they were married in Lausanne which is what I had always heard. My guess is that Mother gave the obit info to the mortuary. The obit is simply shy one letter...t...in front of "here".